376. 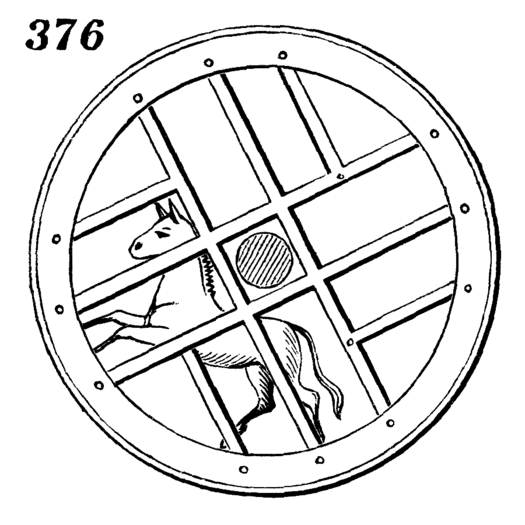 Tread-wheel horse-power turned by the weight of an animal attempting to walk up one side of its interior; has been used for driving the paddle-wheels of ferry-boats and other purposes by horses. The turn-spit dog used also to be employed in such a wheel in ancient times for turning meat while roasting on a spit.